dock10 was the venue for the ITV Leaders’ debate 2015, hosted by ITV News anchor Julie Etchingham and filmed in front of a studio audience. 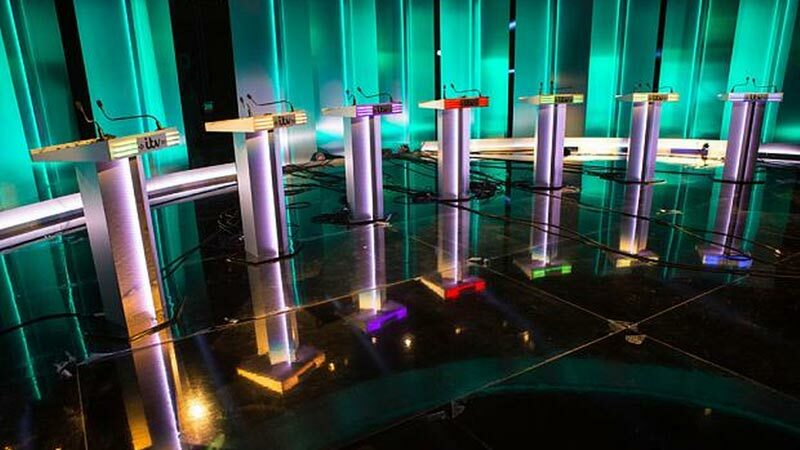 The two-hour live debate brought together leaders from the Labour, Conservative, Liberal Democrats, Green, UKIP, Plaid Cymru and Scottish National Parties. This production required a high degree of flexibility and control. It also involved cross-campus connectivity to enable a number of production hubs, including a global press centre, all controlled from dock10’s platform. This was all delivered within the constraints of a high level of security that included security screening of all audience members and the crew. "This is big event television - nothing about it was straightforward. dock10 proved the perfect location - they met all our needs with a fantastic level of service and support. I'd recommend them every time." Alexander Gardiner, MD, Shiver.